Restore iCloud contacts, messages, call history, photos, music, calendar, etc to iOS/Android devices. Restore iCloud/iTunes backup content to device selectively. One click to backup iPhone/iPad to computer. Fully compatible with iOS 11 and Android 8. Backing up all of the content on iOS devices is made very easy by iCloud. But restoring iPhone from iCloud backup is not as easy as it should be with iCloud. It depends on whether we want to restore the backup to a new device or restore some of the content on an iPhone in use. In this article we will discuss how we can restore an iPhone from iCloud during the setup process as well as how to restore the iCloud backup without having to reset the device. We will also look at a number of issues you may face while restoring the iCloud backup and how you can solve them. Either we want to restore iCloud backup to a new iPhone or an iPhone in use, we need to make sure we have an iCloud backup file to restore. 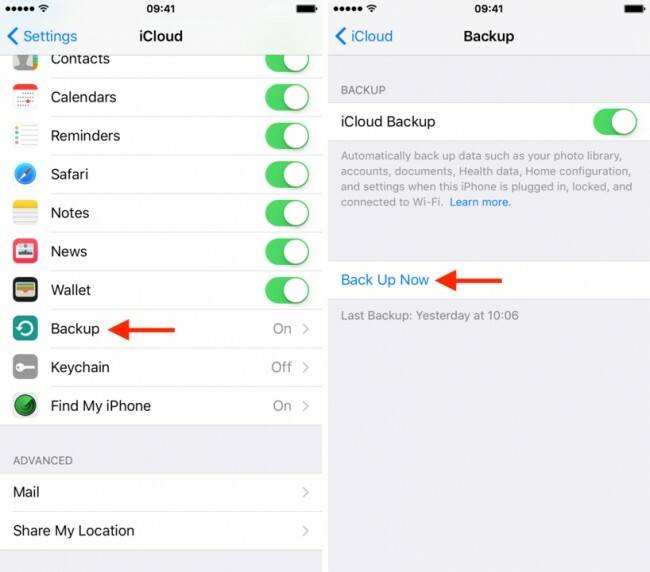 To backup iPhone to iCloud, go to iPhone Settings > Your Name > iCloud > tap on Backup Now. If you are using iOS 10.2 or earlier, go to Settings > Scroll down and tap on iCloud > Turn on iCloud Back and then top on Backup Now. 1. How to restore a new iPhone from iCloud backup? 2. How to restore an iPhone in use from iCloud backup? Please keep in mind that restoring from iCloud backup can only be completed through the iOS Setup Assistant, which means it's only available during the iPhone setup process. So if you want to restore some content from iCloud backup, you need to erase your iPhone to set it up again. Follow the steps below to restore iPhone from iCloud backup. Tap on Settings > General > Reset > Erase All Contents and Settings. When you get to "App & Data" screen, choose “Restore from iCloud Backup”. 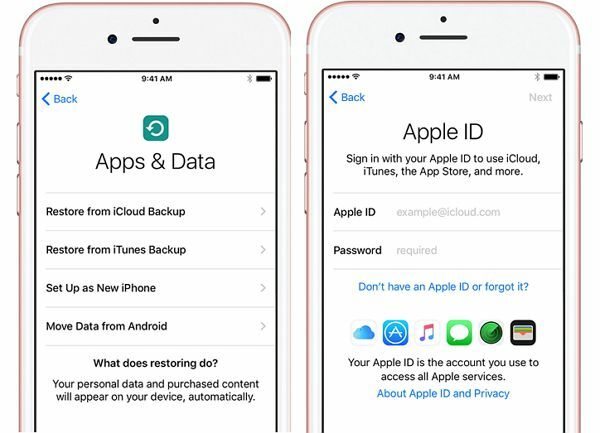 What if you want to restore data from your iCloud account without resetting the device? This situation can arise if you have lost just a section of your data like a few messages and you would rather not erase everything from your device just to get back a few lost messages. 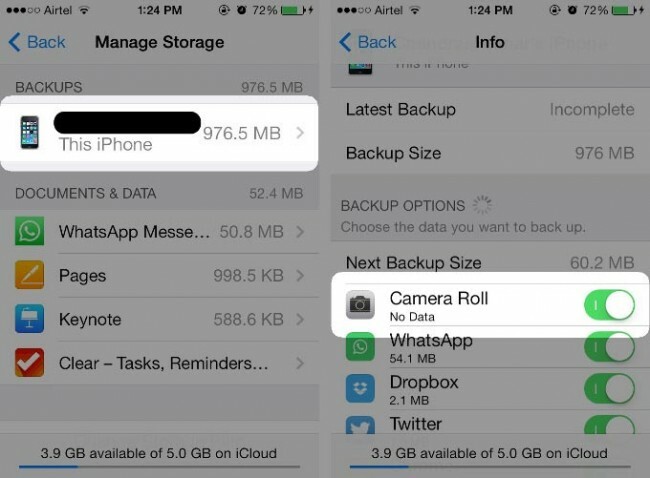 With dr.fone - Backup & Restore (iOS) you can easily get back either all or a section of your data such as just you messages. The program is designed to allow users to easily restore some selected data from iCloud and iTunes backup files. Retrieve data directly from iTunes backup and iCloud backup. Support iPhone X/ iPhone 8/ iPhone 7, iPhone 6s (Plus), iPhone 6 (Plus) and the latest iOS 11 fully! Preview, select, and restore data in original quality. Step 1: Run dr.fone - Backup & Restore (iOS) on your computer and then select "Restore" > "Restore from iCloud backup". Step 2: You will then be required to sign in to your iCloud account. After the signin, the verification code needs to be entered if you have turned on the two-factor authentication. Step 3: All your iCloud backup files associated with this account can be displayed now. Choose the latest one or the one you want to restore and click “Download”. Step 4: Once the download is complete, you can see all the data items in that iCloud backup file listed in the next window. Select the data you want to restore and then click "Restore to Device". You can directly restore contacts, messages, photos, etc. to your iOS device if it is connected to the computer via USB cables. Restoring from an iCloud Backup usually works without too any problems but occasionally something can go wrong and your backup can fail to restore fully. The following are some of the most common problems and how to fix iPhone won't restore error. If you see this message, it generally means that there was a problem with the iCloud servers. To mitigate this problem you should check the iCloud system status. Go to the webpage at http://www.apple.com/support/systemstatus/ and if the status is green the servers are running just fine and the problem could be your own device’s connectivity. Just wait a few hours and then try again. Step 2: Select the device name, which is also the device that is being backed up and make sure that the Camera Roll is tuned on. 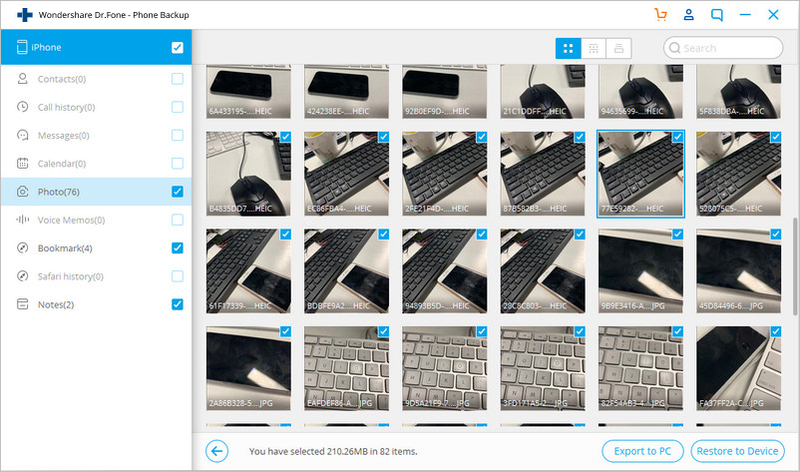 This will ensure that even the photos and videos are backed up. Wait a few hours and try again. 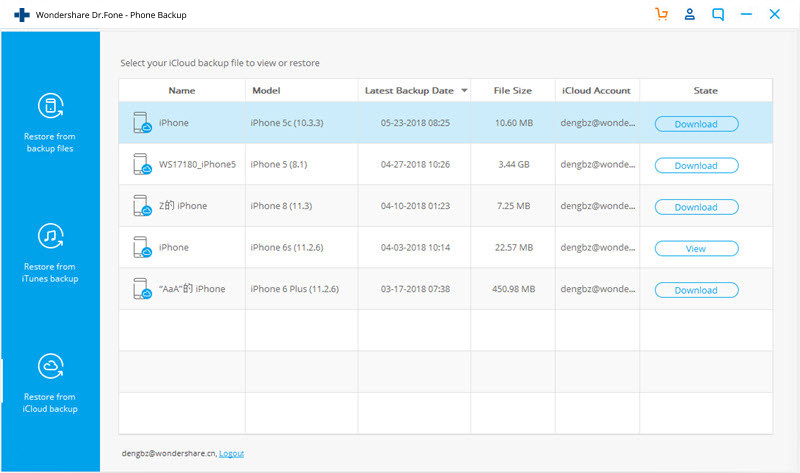 We hope you are able to restore your iCloud backup although if you are experiencing problems with your backup, dr.fone - Backup & Restore (iOS) would be the ideal choice as it doesn't rely on iCloud servers. How to Backup iCloud Contacts and Calendar? Learn how to backup iCloud contacts and calendars to your computer in this guide. We have come up with native and third-party solutions to backup iCloud data. In this article, we're going to take a look at how we can unlock an iCloud locked iPhone. Issues with iCloud can be an unnecessary nightmare to some. 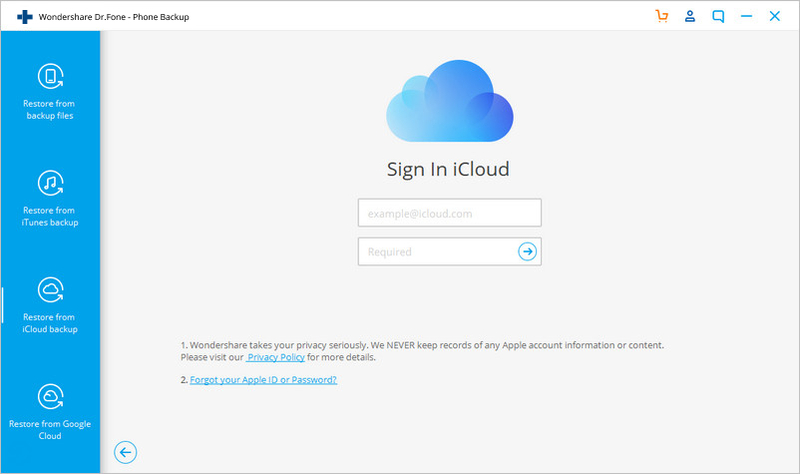 This article will introduce 4 ways to get rid of the repeated iCloud sign-in request. This article describes how you can recover Apple ID and password if you forgot Apple ID password.